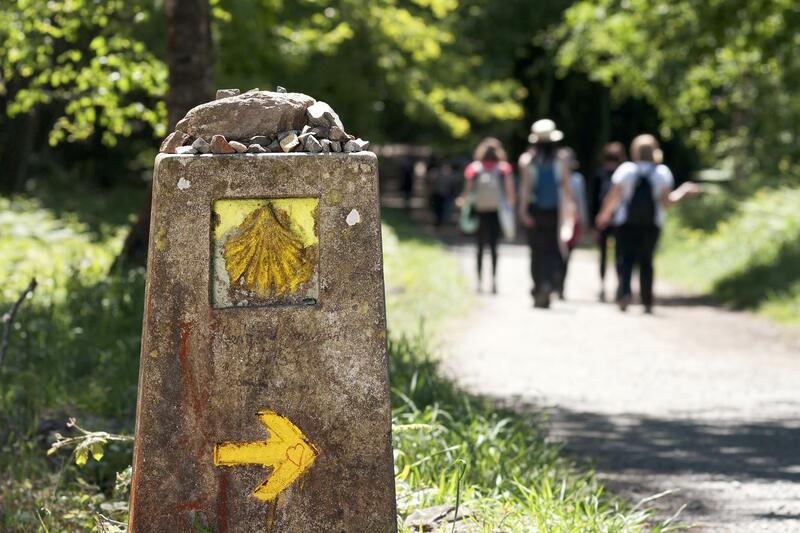 Walk the final 100km of the Camino Frances in style, finishing each day with an overnight stay in a boutique hotel or country manor house (pazo), and enjoy some of the finest Galician cuisine. 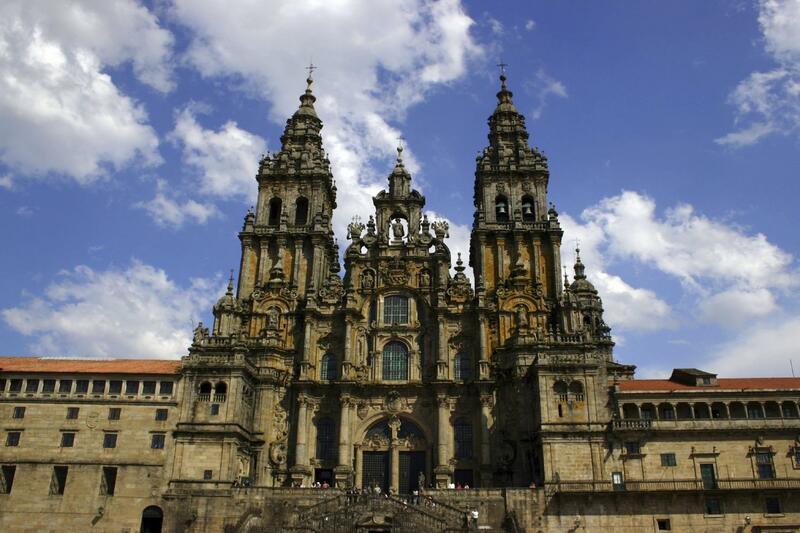 The route takes you through rural Galicia, peppered with charming old churches and religious sites and finishes with a flourish at the magnificent Cathedral of Santiago de Compostela, and an overnight stay in the famous Parador hotel. Whether you are walking the Camino for religious or spiritual reasons, doing it “in-style” like this makes for a very special experience, allowing you to sample beautiful Galicia at its finest. The typically Galician city of Lugo is just off the route of the Camino and is a fascinating place to start your trip. The only city in the world to be completely surrounded by intact Roman walls, Lugo is an intriguing place to explore with some amazing restaurants, a charming cathedral and the interesting Museo Provincial. 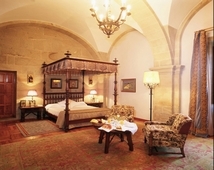 Stay overnight in a baroque palace dating back to the 18th century in a fantastic location right next to the Roman walls. 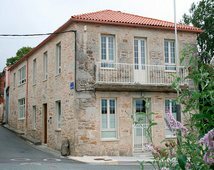 A short 40min transfer will take you to Sarria this morning where you will begin your Camino journey. Walk along shady tree-lined roads and pathways, passing through pretty small hamlets such as Cortinas and A Brea, before reaching the stone marker; a photo opportunity before taking the first step on the final 100km to Santiago. As you arrive in Portomarin enjoy the Galician ambience as you stroll up the cobbled main street and end your day by relaxing in one of the cafés surrounding the square. Your abode for the night is the lovingly converted country house, the Pazo de Berbetoros. The Camino steadily climbs upwards, before passing through the settlement of Gonzar and Castromaior, where you’ll find the tiny Romanesque Church of Santa Maria. Continue along country roads edged by bright yellow gorse, pine and oak trees. Upon reaching the high point of today’s Camino at Sierra de Ligonde (750m), descend to the ancient hamlet of Ligonde, before descending to Palas de Rei. Rest for the night in the welcoming and elegant family run hotel Casa Leopoldo, where you be made to feel right at home! Breakfast is a wonderful affair here with delicious poached eggs served with truffles being a real treat! Leaving Palace de Rei you soon reach San Xulian do Camino, a classical Camino village with a tiny 12th Century church dedicated to Saint Julian. Pass through the hamlet of O Coto and village of Leboreiro. Perhaps stop for lunch at the town of Melide, famed for its octopus dishes ‘pulpo Galega’. The shaded forests of oak and chestnut give way to eucalyptus and pine before you ascend to Arzua. Your destination for the day is the exquisite Pazo Santa Maria, an 18th century manor house offering fine Galician cuisine and an oasis of comfort on the trail. You can even relax after a long day by having a wonderful massage (best to book in advance through us). 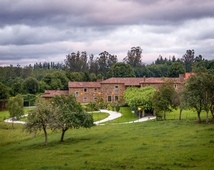 Whilst this long day is more than made up for by a relaxing night at the Pazo, it is possible to shorten it if you wish by taking an optional transfer (paid locally) for the first 13km to Melide but this does unfortunately mean that you will not qualify for your Compostela certificate. Leaving the old quarter of Arzua the Camino leads past sturdy oak trees, which give way to lush meadows. Visit the medieval shrine at Santa Irene, dedicated to a martyr saint from Portugal and the Baroque fountain of healing waters. Throughout the day you’ll be walking through many small villages: Brea, Calzada, Rua and A Calle. On arrival in Pedrouzo, a transfer will meet you and take you to Lavacolla, where it was tradition for pilgrims to wash in the river before reaching Santiago. Your home for the night is the Pazo Xan Xordo, a traditional Galician manor house featuring it’s own chapel and tranquil gardens. A nice short final day means that if you set off early you can be in Santiago in time for the Pilgrim’s Mass at noon—a highlight of any journey on the Camino! As you leave Lavacolla, continue past swaying Eucalyptus trees to the ‘Mount of Joy’, Monte del Gozo from where you first catch sight of the impressive spires of the Cathedral of Santiago de Compostela. 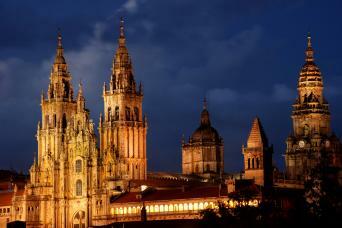 Before long you will reach Santiago where the experience of walking up to the Cathedral is one you will never forget! The perfect culmination to your “Camino in Style” is an overnight stay in the luxurious Parador hotel located on Obradoiro Square right across from the Cathedral. We highly recommend adding extra nights in Santiago (prices on request) or make your way back to the airport in Santiago for onward travel. 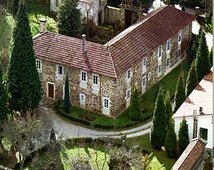 6 Nights accommodation is included in stylish boutique hotels and country manor houses (pazos) close to the route of the Camino. You will always have a private room and en-suite bathroom. The accommodations we have chosen will make your Camino just that extra bit special with their focus on service, special little touches and elements of luxury! If the below hotels are not available we will offer alternatives of as close a standard as possible. There will be a reduction in price for your tour if this is the case which we will work out based on availability. A light continental breakfast is included each morning. Evening meals are included every day apart from Day 1 and you can expect delicious Galician cuisine in wonderful restaurants including the Restaurante O Mirador in Portomarin with its terrace overlooking the River Minho and the intimate Restaurante O Curro Da Parra serving the freshest market cuisine. 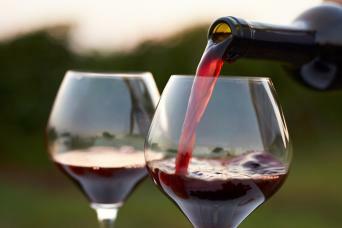 All the restaurants have been chosen for their reputation for serving the most delicious food and fantastic service. 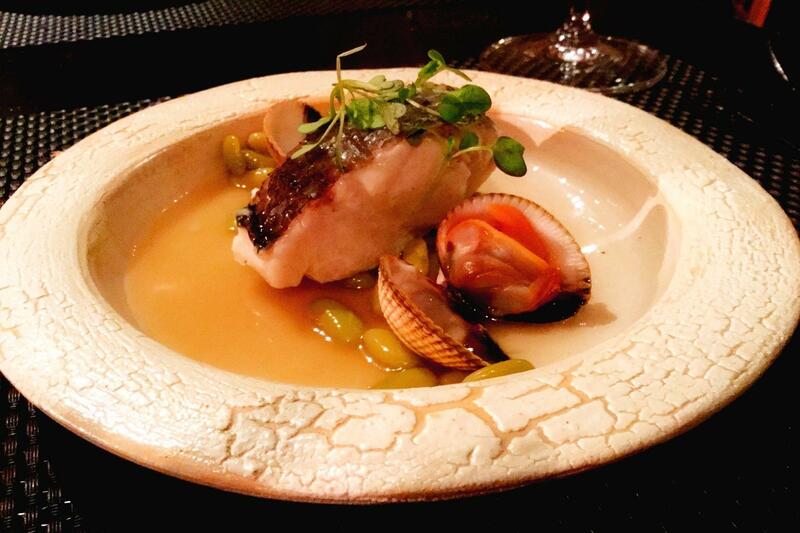 On the first day in Lugo you are free to choose from the many local restaurants. The 18th century Pazo de Orbán sits in a fabulous location right next to the famous Roman wall of Lugo. Featuring elegant rooms with wooden floors and traditional décor, as well as a charming terrace and tavern, this lovely boutique hotel is a real hidden gem! 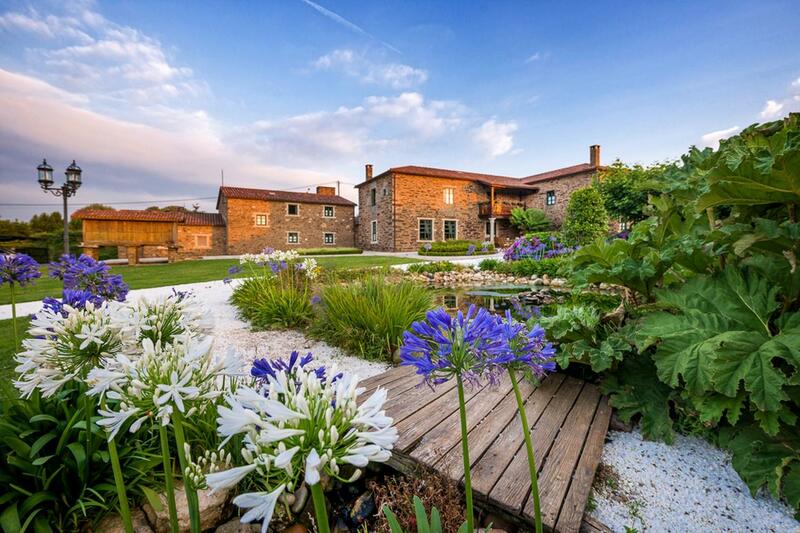 Pazo de Barbetoros is a beautiful old country house which has been lovingly converted into a stylish hotel. 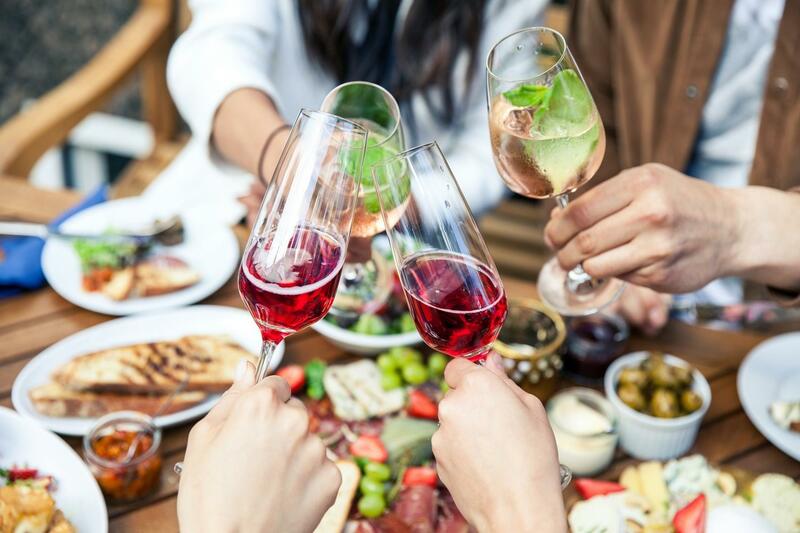 Relax at the end of your walk in the large interior garden surrounded by fruit trees and enjoy sipping on a glass of wine from their cosy café and being attended to by the extremely friendly staff. Casa Leopoldo is a delightful historic home which has been converted into a charming family run small boutique hotel. 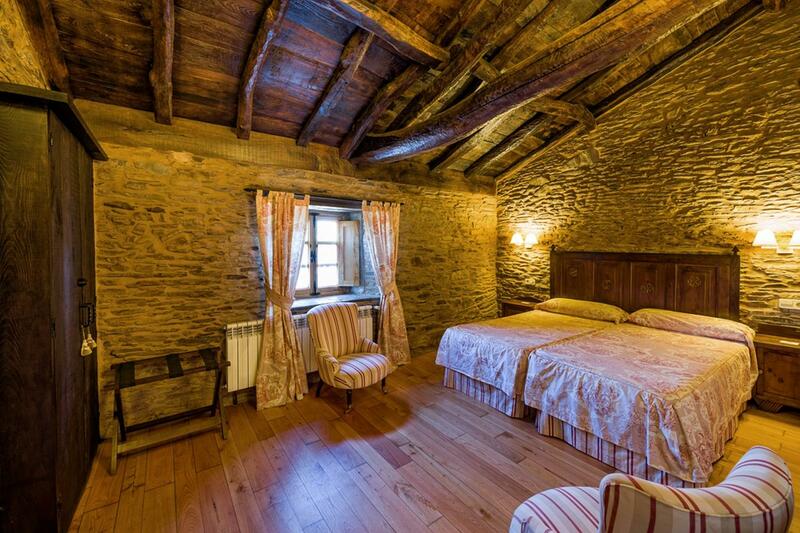 With just six individual rooms this hotel offers a warm Galician personal touch. 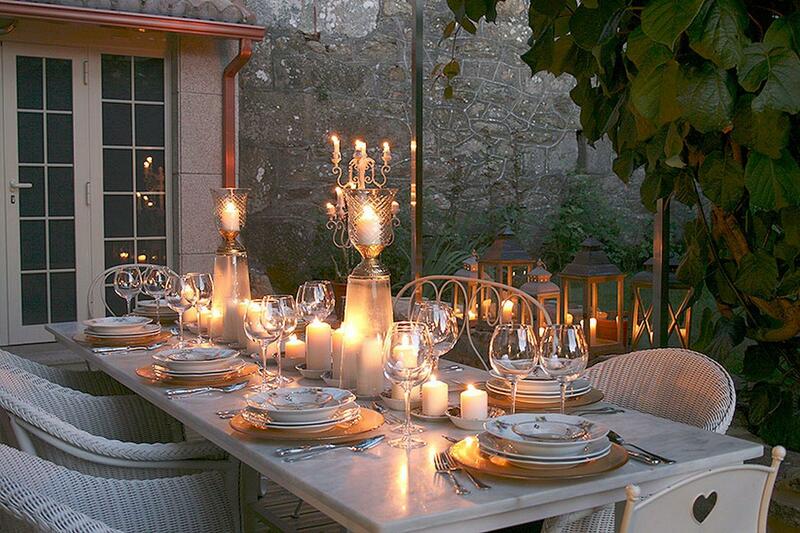 Delicious breakfasts including poached eggs with truffles are served in their gorgeous garden terrace. The Pazo Santa Maria is a real oasis on the trail. A historical manor house dating back to the 18th century, the hotel offers a massage service for those weary legs, a fantastic restaurant serving fine Galician cuisine and tranquil gardens in which to relax. A tranquil haven in Lavacolla, the final resting stage before reaching Santiago, the Pazo Xan Xordo features a elegant rooms, its own chapel, and real “olde world charm” in the Galician countryside. 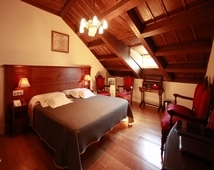 The Parador of Santiago de Compostela or “Hostal Reis Catolicos” is set in an exquisite 15th century building facing the Cathedral of Santiago de Compostela. An overnight stay here offers a wonderfully luxurious end to your Camino journey and an experience you will never forget! 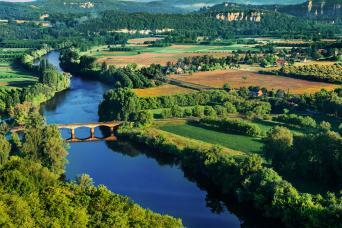 You can start your Camino in Style on any day of your choosing between March and October. As some of the accommodations used have limited rooms we recommend booking this trip as far in advance as possible. If the detailed hotels are not available we will offer alternatives of as close a standard as possible.There will be a reduction in price for your tour if this is the case which we will work out based on what is available. April, May, June, September and October are the busiest months for walking the Camino and also some of the nicest months due to slightly cooler temperatures. July and August can get very hot. This walk is graded moderate overall and includes daily walks of 10-28 km per day. You can expect to walk for between two and eight hours each day. Whilst the days are quite long the paths you are following are mainly flat and the terrain is easy. It is also possible to shorten the longest day with an optional transfer (paid locally). You will follow a mixture of farm/dirt tracks, minor roads and footpaths. The Compostela certificate is a certificate that pilgrims can get in Santiago after having completed the last 100km of the pilgrimage route to Santiago. This can be for any of the various routes leading to Santiago (Frances, Norte or Ingles, for example). As we provide a transfer from Pedrouza to Lavacolla on this particular itinerary this means that technically you will not have walked the full final 100km. If you would like to walk the entire route then just let us know and we can take this transfer out for you but this would mean a longer walk that day of around 30km. The closest airport to Lugo is Santiago. From the UK Ryanair fly direct to Santiago from Stansted and Easyjet fly direct from Gatwick. From outside the UK, you can fly to Santiago via Paris with Vueling or from Madrid with Ryanair. From the US it is possible to fly to Santiago via Madrid with Iberia, American Airlines or Lufthansa. We include a private transfer from Santiago Airport to your accommodation in Lugo. A transfer is also included to take you back to the airport at the end of your stay. This walk is graded moderate overall and includes daily walks of 10-28 km per day. You can expect to walk for between two and eight hours each day. Whilst the days are quite long the paths you are following are mainly flat and the terrain is easy. It is also possible to shorten the longest day with an optional transfer (paid locally). You will follow a mixture of farm/dirt tracks, minor roads and footpaths. We suggest you book as far in advance as possible as the Camino is extremely popular and some of the hotels on this tour have limited rooms available. Kellen was great to work with. All transfers worked well. Pleased with the accommodations and dinners. 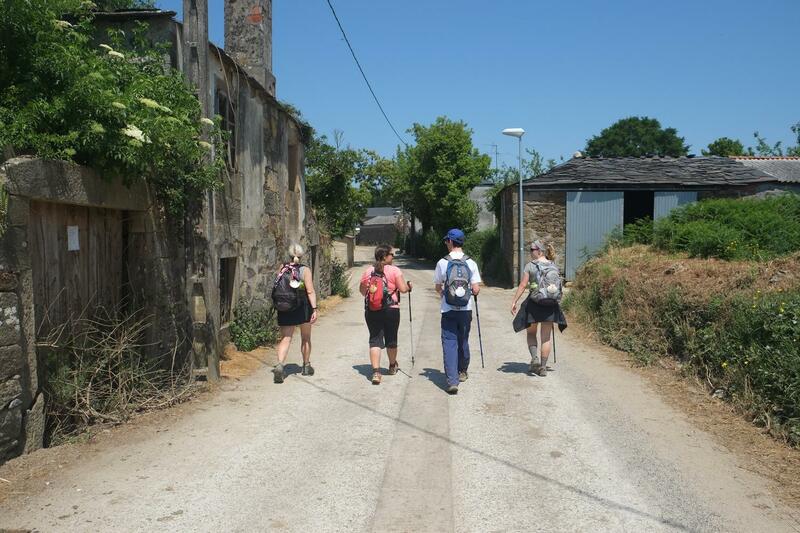 We walked 118k from Sarria to Santiago de Compostela, and overall it was a great experience. It's safe, fun, tiring, and fulfilling. Camino in Style - The only way to go!! Mac's Adventures set up all the critical components of our El Camino walk so at the end of a long day of walking/hiking...we knew we would have a place to rest and rejuvenate in preparation of the next day. Everything went so smooth, and from the hotel accommodations to the meals included, everything was TOP NOTCH. We WILL use Mac's again. Camino in Style, The Way to do it! Camino in style is the way to go! 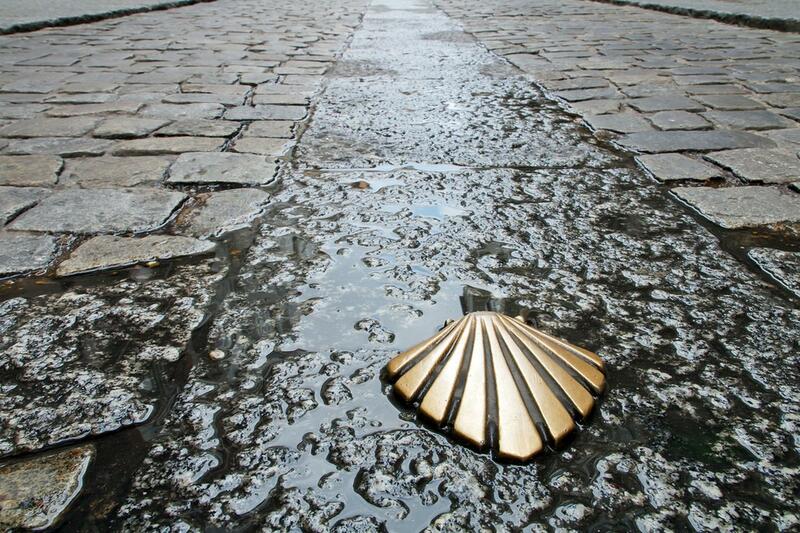 If you would like to sample the world-famous Camino but perhaps don’t have the time to do the full walk and would like a slightly more ‘refined’ experience this is the trip for you! You still get the great sense of completion of walking the Camino - but add to that the luxury of staying in beautiful Spanish country mansions and hotels.